Apparently it’s movie week on the blog. 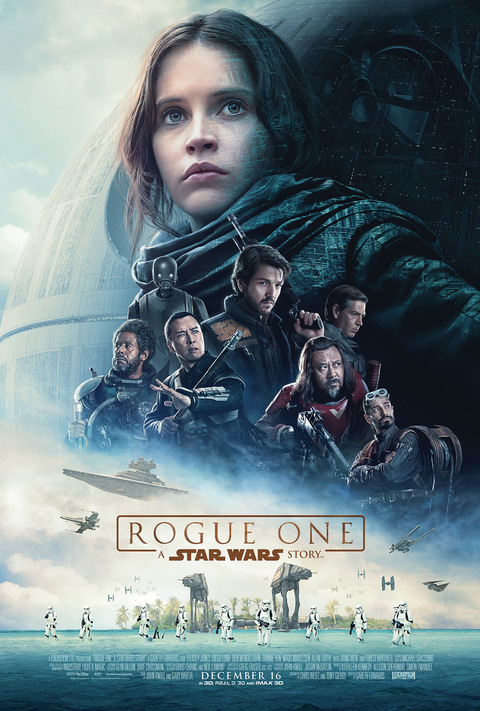 I didn’t intend to do a theme around scrappy people with few resources fighting governments, but, well… Today, from a galaxy far away, Rogue One: A Star Wars Story. Billed as the story of the Rebel team who stole the Death Star plans, this is a prequel (but not a prequel, if you know what I mean) to A New Hope, set in the weeks just before it. It’s the story of Jyn (Felicity Jones), daughter of the Death Star’s designer. We meet her in an Imperial labor camp, imprisoned for vague reasons, from which she is swiftly recruited by the Rebel Alliance. She joins new characters like Cassian (Diego Luna) and converted Imperial droid K-2SO (voiced by Alan Tudyk of Firefly fame), and familiar ones like Mon Mothma and Bail Organa, as they assess the Empire’s new threat. This was a…different Star Wars movie. I feel rather oddly about it. I didn’t exactly dislike it. It wasn’t perfect but I wouldn’t say it’s bad. But it wasn’t quite my type of movie either. More than any other Star Wars movie, this one was a war movie. Yes, “war” has always been there in the second word of the franchise title, but it’s always been a space opera. There was always a layer of unreality. We all know that the stormtroopers will never fire a lethal shot at the heroes, and even though Darth Vader tortured Leia, it didn’t rumple her (iconic) hairstyle. Rogue One was gritty. We’re visiting a galaxy that has been ground under the Imperial boot for twenty (give or take) years, and shows it. It’s visible in the devastated landscapes, the eyes of the rebels, and the layer of dirt on Jyn’s face. The original trilogy gave us a picture of a fight between good and evil (or light and dark). Rogue One gives us a Rebel Alliance with infighting and factions, where even the “good” guys do morally questionable things. Some of this draws out impassioned repudiation, as when Jyn accuses another character of being no different than a Stormtrooper if he’s going to follow bad orders blindly. But it’s lines like that that stand out in a darker, grayer galaxy. K-2SO is a pretty good microcosm of the difference. The droids always function as comic relief side characters, and K-2SO fills that role admirably with some of the funniest lines of the movie. But he’s very different than prissy protocol droid C-3PO, or adorable rolling BB8. K-2SO is a warrior droid (distinct from the relatively comical battle droids of the prequels-that-do-not-exist). I’m having trouble passing a judgment on this difference in the movie. It’s not bad, and on some level I appreciate a more realistic movie—but on another level, I love space operas and I mostly avoid war movies, so while I appreciate what they’re doing here, I don’t love the movie. Going into this I was most excited about Felicity Jones, who starred in the (wildly different) Jane Austen picture Northanger Abbey. Catherine Morland, as a Star Wars heroine! Win! And she was good—but I’m sorry we didn’t get more into Jyn. I have a much clearer sense of, say, Rey’s motivations. Jyn was slightly more an enigma, especially in the way some of her views shifted. She was powerful as the amoral dissident who ignores the larger galactic picture, and she was powerful as the voice of morality and rally point for doing the right thing at any personal cost…but the jump from one to the other was a little blurry. I watched Rogue One the day before Carrie Fisher died, and am writing this review the next evening. The Star Wars universe has changed forever in that space, and I don’t know if I would have had different feelings if I had seen Rogue One a day later. I suspect a hard, gritty movie would have become harder. 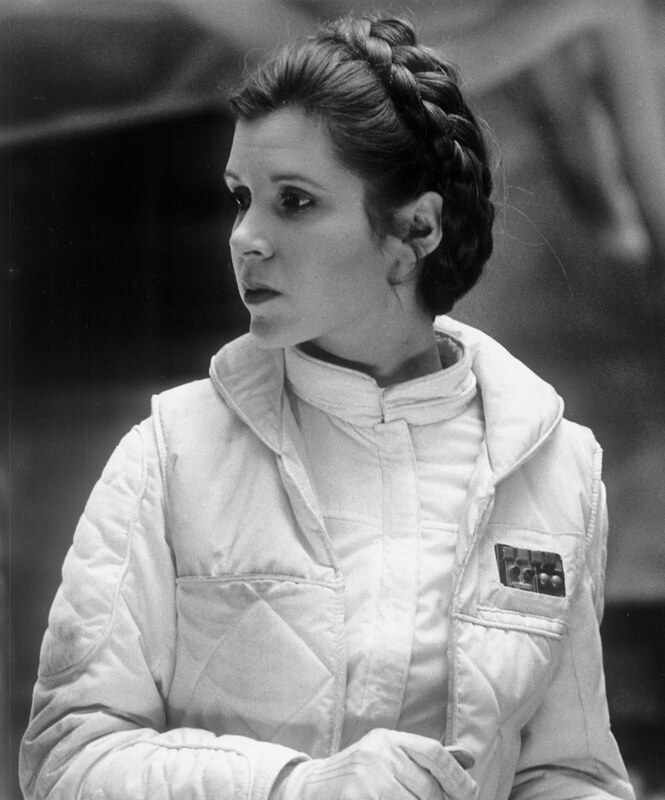 Fisher’s death is heartbreaking; Leia remains my favorite female character in Star Wars, and a solid contender for favorite female sci fi character anywhere. Watching a movie about a very dark version of the Star Wars galaxy directly after Fisher’s light went out…well. It’s probably just as well I saw Rogue One yesterday. Ultimately, Rogue One was a well-done movie that wasn’t quite to my taste. But I do appreciate an insight it gave me into that perennial question, the difference between Star Trek and Star Wars. Trek tells us that a beautiful, utopian future is possible, and mostly promises it via science and mutual respect and cooperation. Wars tells us that sometimes dark forces threaten that future and you have to fight to protect it. Two messages that I don’t think are opposed, and that are both worth remembering.